SKU: AB-3530 Categories: Activewear, Fleece Jackets, Jackets, Jackets, Ladies Pullovers, Men's Outerwear, Men's Pullovers, Polyester Jackets, Pullover Jackets, Pullovers, Women's Jackets, Men's Clothing, Men's Jackets, Youth Warmup Jackets, Women's Clothing, Youth Clothing, Outerwear, Fleece Clothing, Shop by Color, Black, Navy, Royal, Green, Red Tags: ladies pullovers, men's clothing, men's jacket, men's outerwear, men's pullovers, polyester jackets, pullover jackets, pullovers, women's clothing, women's jackets, youth clothing, youth warmup jackets Brands: Augusta SportsWear. This style only ships from our supplier’s warehouse. Please ensure your order is correct as there is a no returns policy on this style. Sweatshirtstation is not responsible for delivery delays coming from warehouses. 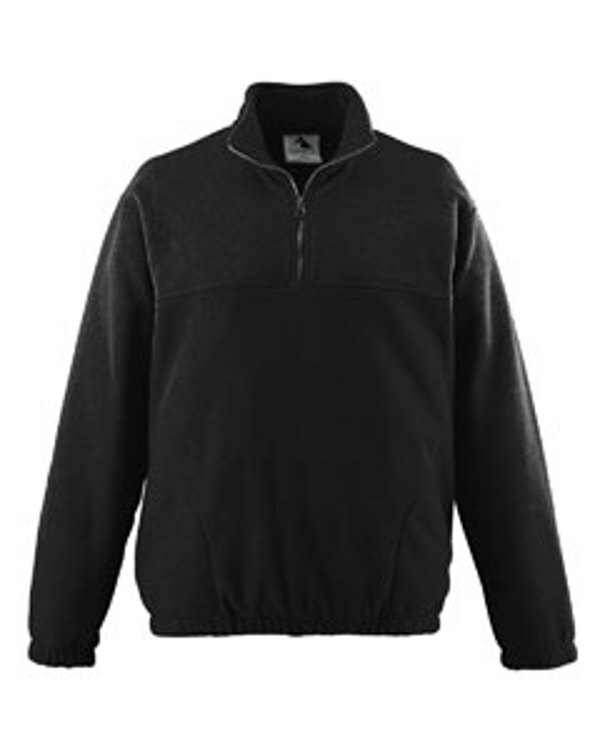 This Augusta Drop Ship Chill Fleece Half-Zip Pullover is completely polyester chill fleece with Ultra-soft and pill free and is perfect for active men, women or youth.